Home Sports Who is Danry Vasquez? Does He Have a Girlfriend or Wife? In 2010, Danry Vasquez was a largely unknown prospect who was signed as an international free agent and handed a $1.2 million signing bonus. The 6 feet 3 inches tall, 86 kg heavy baseball player has, since that time, showed a glimpse of being able to become a great player; however, he has been unable to repay the faith that was had in his talent as his career looks to have drifted away. Read on to find out more about his career and love life. Danry Vasquez was born Danry Josué Vásquez Blanco on the 8th of January, 1994, in Ocumare del Tuy, Miranda, Venezuela. Details about his family, early life and childhood are not known. It is not clear what kind of education he received, however, it is obvious that he displayed enough athletic ability and baseball talent as a young boy that got the attention of some scouts from America. By 2010, an American professional baseball team, the Detroit Tigers, signed him as an international free agent. Not much was heard about Vasquez between that time and 2012 when he began the 2012 season with Class A Midwest League side, the West Michigan Whitecaps. Following a few poor performances, he was demoted to Class A-Short Season New York–Penn League team, the Connecticut Tigers. After having put on some weight and improved his game, Danry Vasquez was promoted back to the Whitecaps for the 2013 season. In that season, he went on to record a .281 batting average with five home runs and 39 runs batted in. This performance prompted the Major League Baseball team, the Houston Astros, to trade for him. The Astros then subsequently assigned him to the Quad Cities River Bandits of the Midwest League. He further went on to play for the Lancaster JetHawks of the Class A-Advanced California League and the Corpus Christi Hooks of the Class AA Texas League before being released by the Astros due to an off-field incident. 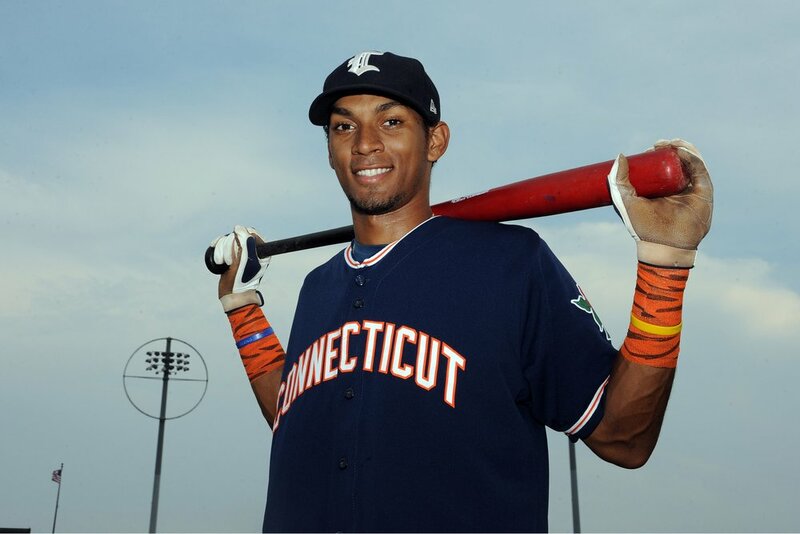 Other teams in which Danry Vasquez played for include independent baseball league side, the Lancaster Barnstormers of the Atlantic League of Professional Baseball and the Piratas de Campeche of the Mexican League. Following the 2018 season, he has remained a free agent. Danry Vasquez has a wife, and he is by all indications happily married, but the identity of his wife is unknown at the moment. However, it is known that he met her after his break up with his former girlfriend whom he domestically abused. In August 2016, the baseball player was arrested while playing a game for the Corpus Christi Hooks of the Class AA Texas League on suspicion of assault and domestic violence. Video cameras had caught Vasquez physically assaulting his now ex-girlfriend, Fabiana Perez, in the stairwell of the Whataburger Field baseball stadium, prompting stadium officials to call the police. As the story goes, Vasquez had seen Perez talking to a male friend at the stadium and got upset. When the two proceeded to enter the lonely stairwell, he attacked her, leaving her with a fractured nose and some bruises. Following the arrest, Perez chose to not press charges against her partner although she noted that this was not the first time he had abused her. Prosecutors subsequently dropped the domestic violence charge against him as he took anger management classes, paid an undisclosed fine, and underwent community service. This, however, did not stop Major League Baseball from placing him on administrative leave as his parent team, the Astros released him. 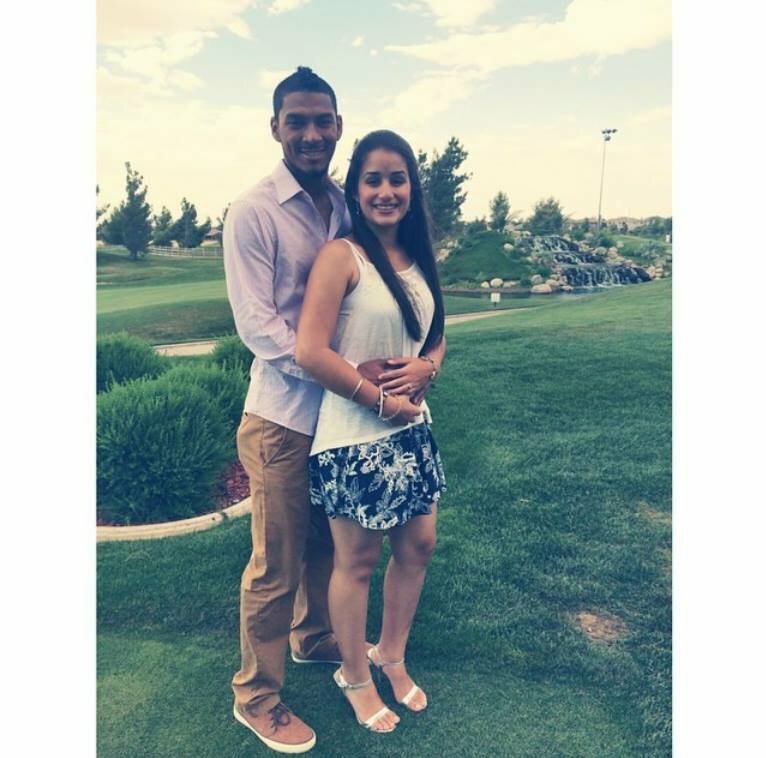 Danry Vasquez and Fabiana Perez remained together after the assault and his subsequent run-in with the law. In October 2016, he posted a photo of himself and the woman as they smiled together with the caption; “the person who is always with me in the good and the not so good!” The pair’s relationship deteriorated soon after and he moved on to another woman who he eventually married. It is not clear when exactly the marriage took place, however, it was in November 2017 that Danry got engaged to his new woman. In an interview with elemergente.com, Vasquez spoke about his wife, saying that she has supported him in all this and has been an unconditionally loving person in regards to the domestic abuse incident. He then went on to apologize again for the incident, adding that he has left everything in God’s hands.